Teach rules of pluralization, past tense and other common word endings and watch spelling skills jump! 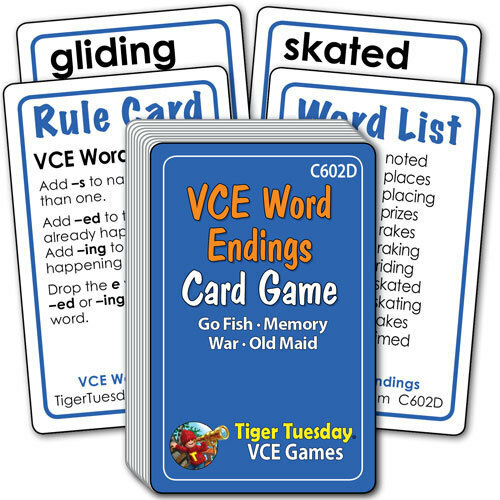 With one deck of VCE Word Ending cards, young readers learn the rules for spelling with VCE words when common word endings are added. Games are played by the rules of Go Fish, Memory, Old Maid or War.